Kilimanjaro National Park - Great Tours and Safaris in Tanzania! 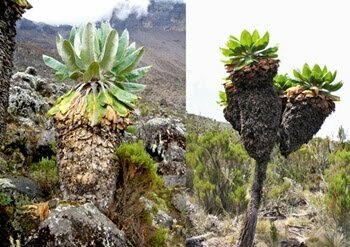 The history of Kilimanjaro National Park dates back from the early 1900’s. The area was established as a game reserve in the early 1990’s and as a forest reserve in 1921. In 1957 the Tanganyika National Parks Authority formally proposed the establishment of a National Park surrounding and including Mt. Kilimanjaro. The Kilimanjaro National Park is 330km south of the Equator on the northern boundary of Tanzania. The nearest town is Moshi. Mt. 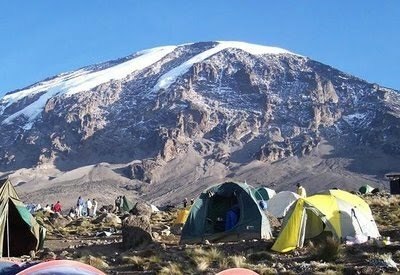 Kilimanjaro, an awesome and magnificent mountain, is the highest mountain in Africa. It is also one of the largest single free standing mountains in the world, composed of an extinct volcano; Shira (3962m) and two dormant volcanoes, Mawenzi(5149m) and Kibo (5895m). There are six official climbing routes that provide a range of opportunities for experiencing this mountain. Guides are required and bookings must be made in advance.